This week was a bit odd. I only had one day of full class periods due to the holiday, an assembly, and a cold (snow) day. I love weeks that aren't five full days of school, but it also means a heavier homework load. My week was full of schoolwork and it looks like next week will be similar (sigh...). My grandparents came to visit this past weekend and brought their adorable dog. Isn't she just the cutest?! On my breaks from schoolwork, I've really been turning to the blogging world. Whether it's writing, going through my Instagram feed, or spending a bit too much time on Pinterest, the blogging world has really been something I've found to be a perfect break. Here are some of my favorites from the week! 1.) Pinterest I have switched my formerly personal account into my blogging account. You can still find me by searching letsgetpreppy! I love Pinterest and all the colorful spring pictures I've seen recently. They’ve been a great change from this gray winter. 2.) The List Meg from A Sunny State of Mind posted last week on her blog the best and cutest to-do lists. I've been using these forms like crazy. They are so great to break apart big tasks into smaller ones making the big projects less overwhelming. 3.) Only Audrey Hepburn The other day I discovered the Instagram account @onlyaudreyhepburnpics. I immediately fell in love with the account. The Audrey picture or two that shows up on my feed everyday from their account is such a change from the norm, and I completely love it! 4.) Bean Boots Ok, I grant you this is not actually a study break favorite. But, it has been a much favored necessity. My Bean Boots have really come in handy the past few weeks. The snow and cold are rough on a pair shoes, but these boots have kept my feet nice and toasty this winter. I hope everyone has a wonderful Friday and great weekend! Did anyone else have a schoolwork-filled week? Fingers crossed the loads lessen up! What's been on your radar this week? Ahh I love this post! 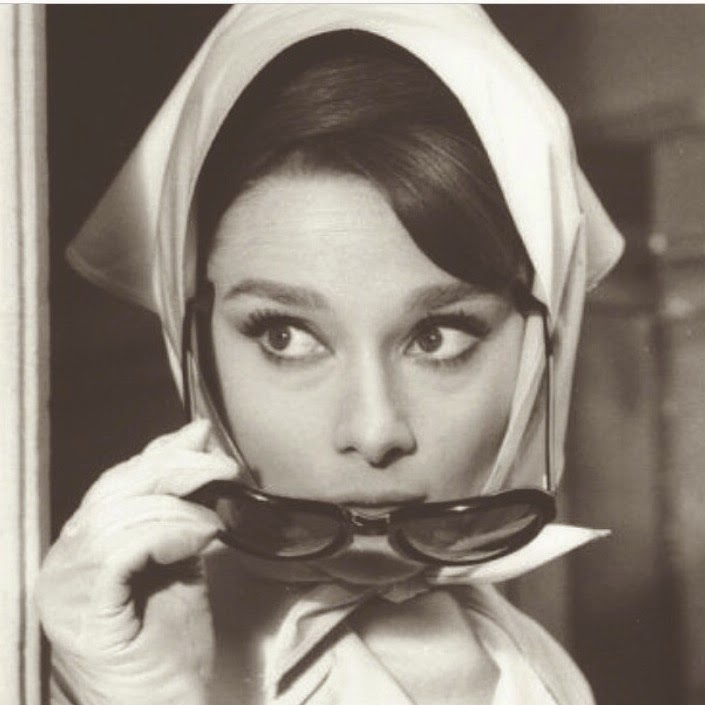 The audrey instagram is amazing, I am a huge fan of her movies and her style was amazing. And I need to follow you on pinterest, I have one as well! Thank you! Glad we have connected through Pinterest. Kathleen! I love this post and I just noticed that we have matching PJ's! Our style is so similar its crazy! It's really too funny how similar our styles are! Thank you for the sweet comment about the post, Macey.